Kharkiv, Ukraine – November 4, 2015 – AltexSoft, a Technology & Solution Consulting company, participated in Outsource People 2015, an annual international conference for software development outsourcing businesses. The conference was held in Kyiv, 23-24 October. 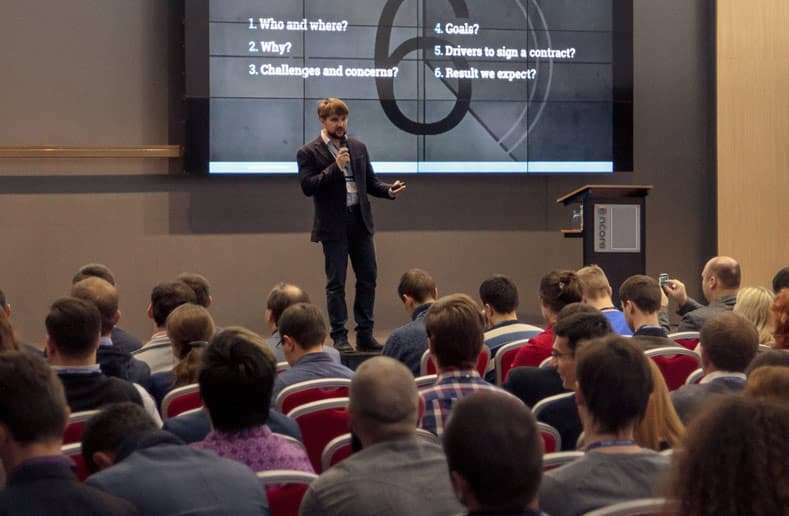 Acting as a partner of the event, AltexSoft was represented by its CEO and founder, Oleksandr Medovoi, who was one of the key speakers this year. His report dedicated to the concept of a perfect customer aroused great interest among the attendees and was chosen among the top 10 presentations by the audience. The talking points of his presentation touched the problems of identifying the image of a target customer and value proposition. Oleksandr Medovoi was one of the 6 speakers sharing their experience with other participants at the Expert Tables. Every interested person had an opportunity to ask questions or discuss the hottest topics of the industry on an individual basis. This year, the organizers decided to honor the best specialists in the IT sphere with IT Biz Awards 2015. AltexSoft Marketing Manager, Sergii Salenko, was recognized by the members of international jury as one of the Top 3 experts in the Sales Manager/Marketing Specialist category. AltexSoft remains an active player in the field of Ukrainian IT industry and will be supporting more interesting events within the upcoming months. Outsource People 2015 is an international conference for software development outsourcing businesses held annually in Kyiv, Ukraine. It provides an opportunity for international specialists to discuss outsourcing trends and industry innovations. Attendees are offered to participate in trade shows and IT biz awards as well as in the entertainment program of the conference.